Robots and automated processes have transformed how global companies make and distribute products. For students interested in robotics, LGO offers coursework and research along a sophisticated automation toolkit, both in the classroom and in robotics internships. Multiple departments at MIT are researching the many ways that robotics and automation can solve problems. Aeronautics and Astronautics, Mechanical Engineering, and Electrical Engineering departments all offer robotics classes. MIT’s cross-disciplinary institutes like CSAIL and the Media Lab also contribute to groundbreaking research on the topic. Several LGO partner companies have leveraged LGO internships in robotics to develop automation solutions. Problem: Modular industrial robot systems are well suited for high performance (e.g. accuracy, repeatability and speed, or shorter cycle times) and also support flexibility for robot systems to be easily adaptable to a wide range of customer applications. A third characteristic of the robot system—reliability—is becoming increasingly important as industrial manufacturing processes and products increase in complexity and the costs associated with robot failure such as production line downtime increase. Approach: Heather’s project aimed to improve and monitor quality performance of a robot system in a way that’s highly meaningful to customer needs. To do this, her project had two goals, measure the reliability of a module with greater accuracy and develop a nuanced approach to meaningfully analyze entire sections the system comprise of multiple modules using an algorithm based on reliability physics. Impact: Heather’s project found that reliability analysis enables early-on detection of design alterations for circuitry and mechanical interfaces to reduce stress factors that influence system reliability. In addition, she found found reliability analysis also helps identify which modules and components should receive priority for reliability testing. This therefore reduces costs for reliability testing, with only the most critical parts and modules tested, and improves product launch timelines. Problem: With backlogs of aircraft orders at Original Equipment Manufacturers (OEM), aerospace companies see automation as vital to increase throughput. However, little research exists quantifying the business case for automation. Sean and AIP’s Ascent Aerospace wanted to explore this case in more concrete terms. The goal for Sean’s robotics internship was to develop a business case model and implementation plan for Ascent. To prove its benefits, Sean’s plan had to improve financially-driven decision-making for investments in automation. Notably, where data was not readily available, Sean outlined techniques to estimate data using less sensitive data and industry knowledge as proxies. For example, Sean used historical OEM manual assembly time studies to estimate the labor hour savings from automation. Impact: Sean used a current Ascent Aerospace program with a well-known OEM as a case study to test the financial model. He introduced an “Efficiency Factor” that captures the impact of production learning on labor hour savings from automation. As a result, Sean used his model to predict an NPV for this program between $4M and $15M greater than the initial automation investment. Problem: Boeing wants to automate specific assembly processes such as riveting. Currently, workers install thousands of rivets into the fuselage. 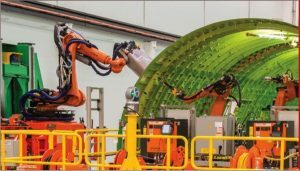 Boeing asked Matt to model the Fuselage Automated Upright Build (FAUB) project, which helps automate the riveting process, to predict how much of these process could be automated. Approach: Matt simulated the FAUB system using the manufacturing build plan and machine cycle times. Throughout his robotics internship, Matt was able to cultivate relationships and advocate for small but significant changes. He recommended changing the robot setup and operator work schedule. Because flexibility in the new system was so critical, Matt’s simulation was a vital tool in balancing the new system parameters. Impact: Matt’s simulation allowed Boeing to make decisions in an environment where development and production work occur simultaneously. Thanks to the simulation’s flow times, the Boeing team found significant potential to improve the automation process. Matt and the Boeing team were able to identify improvements that significantly improved how planes moved through the assembly. Problem: National Grid provides safe, reliable electricity and gas service throughout the northeast United States. To maintain its assets, technicians need to conduct inspections by helicopter or on foot, both of which can be dangerous, especially during storms. To reduce risk, National Grid wanted to investigate unmanned aircraft systems (UAS, or drones). National Grid asked Jacquelyn to provide a roadmap to incorporate UAS into their operations. They also wanted a comprehensive risk analysis for utility companies to guide the Federal Aviation Administration’s (FAA) policies. A probability model for UAS ground collisions. Approach: Jackee identified the technical and business requirements for internal use cases, evaluated UAS technology, and developed safety and training procedures. She then focused on external stakeholders. She benchmarked with outside utility companies and submitted an application for FAA approval. With this approval, National Grid can move forward with a pilot program to evaluate UAS technology and data. The company can continue refining its operating procedures and make decisions on implementation. Jackee used a probability risk analysis to determine a level of safety (LOS) for utility applications, taking into account the likelihood of midair and ground collisions. She used a combination of UAS reliability, wind gust data, population density, and results of a time-use survey to build her analysis for two failure modes. 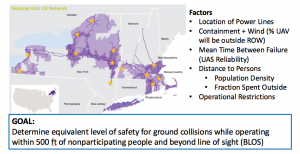 Impact: Through this risk analysis, National Grid and other utility companies have additional data on the safety of operating UAS in utilities management. National Grid can use these findings to potentially gain support to use drones in their regular operations. 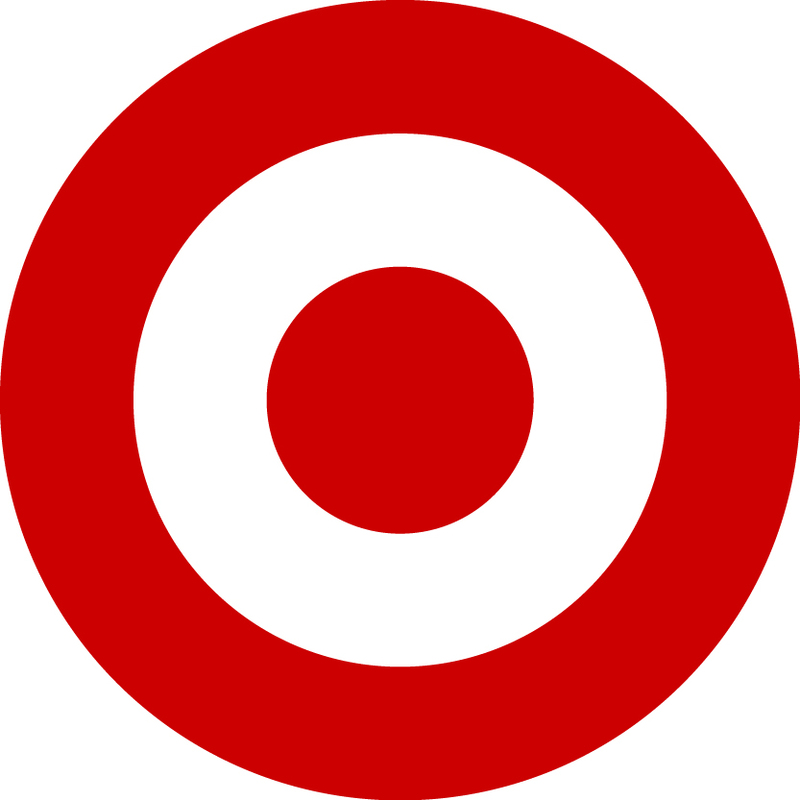 Problem: The transition from labor-intensive to capital-intensive processes marks a major change for the warehousing industry. Volume constraints in the past depended heavily on staffing levels. Managers could scale their operations inexpensively by adding staff. Because of multi-agent warehousing automation platforms such as Amazon Robotics, the basic physics of inventory management has changed. Head count can no longer be used to influence outbound volume, so managers are looking for other ways to optimize these new systems. Approach: During his internship, Jake suggested, analyzed, and optimized one potential lever: velocity stow. Velocity stow is how specific items are sorted into multiple classes based on their “velocity” (sales over time) and storing these items by classes. Jake constructed a model relating the velocity stow on individual racks. He then simulated how different velocity stow strategies impact key metrics for system utilization by human operators and the automated system. 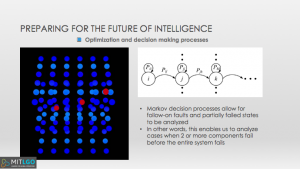 Impact: Jake’s simulation demonstrated that a velocity sortation strategy increased the potential pick accumulation on high-velocity racks. 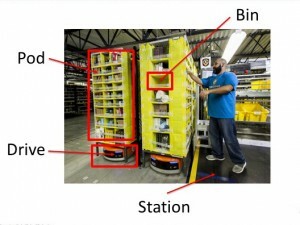 Since Jake finished his project, Amazon Robotics uses his analysis to organize their facilities. View which partners are at the cutting-edge of robotics and automation. 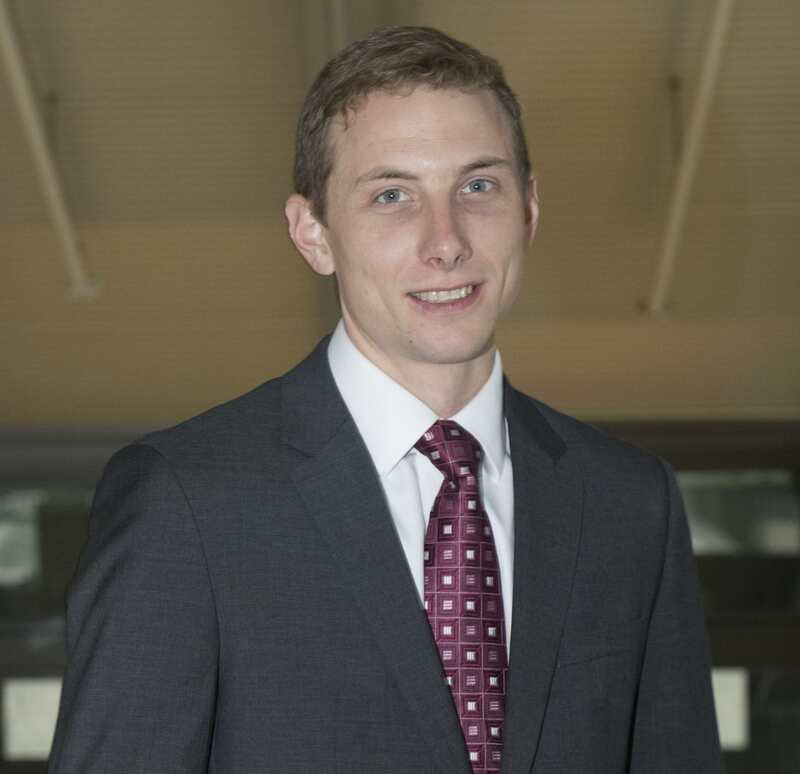 Prof. Hoburg's interests in aircraft design and composite manufacturing allows him to oversee a variety of LGO projects in the airline manufacturing space. 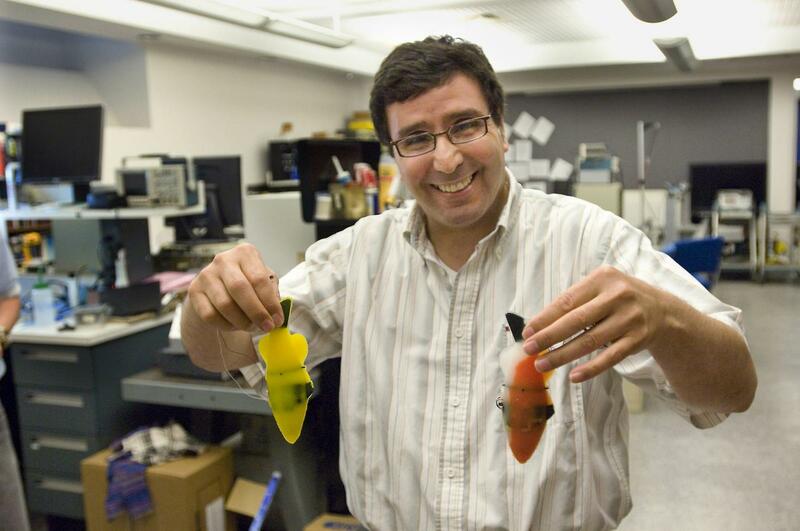 Prof. Youcef-Toumi has worked at MIT on a variety of topics related to instrumentation and controls in robotics, smart-grid technology, and manufacturing automation. Prof. Perakis's intersts in operations research and optimization allow her to oversee a variety of LGO internships, from supply chain to systems optimization to integrating robotics into production lines. 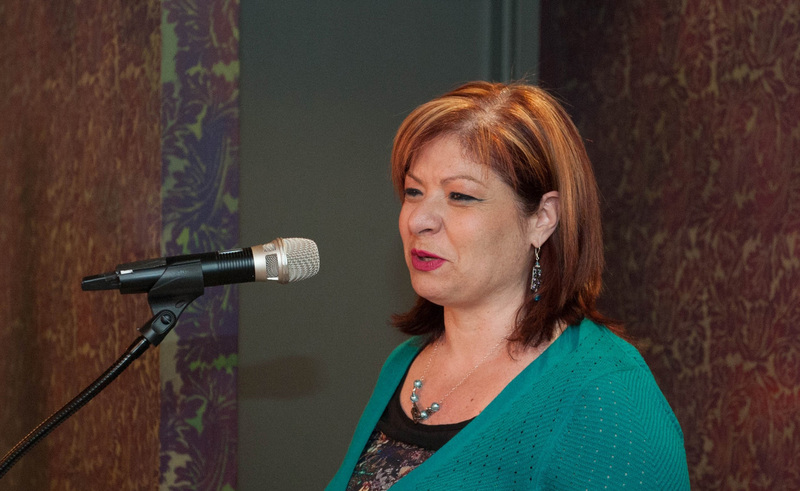 Prof. Zaman's research focuses on big data analysis, especially in complex and social networks. 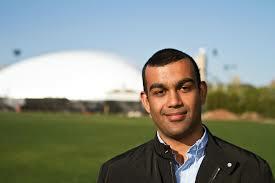 He recieved his BS, MEng, and PhD from MIT EECS. Prof. Welsch oversees several LGO projects every year. His expertise on statistical analysis is relevant to many projects conduction optimization and modelling.